Welcome to That Golden Life! My name is Tia Brown and this is my online diary where I document all things from lifestyle and travel and sometimes the occasional beauty + fashion. That Golden Life began as a place for me to share my travels and journal my adventures along the way. Traveling for me is so much more than just seeing beautiful places. Traveling for me is so much more than that. When I was 12, I was diagnosed with a rare eye disease that will eventually make me lose my vision. That has lit a fire under me and has encouraged me to travel as much as I can NOW and really embrace every beautiful day I can still see. That Golden Life has grown into a community for me to connect with other passionate travelers and explorers from all over the world. 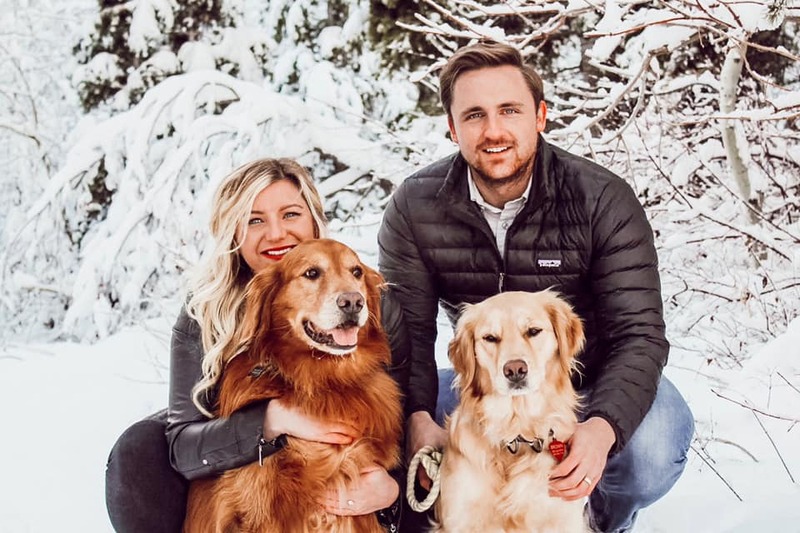 I currently live in Utah with my husband Derek and our two golden retrievers Hank & Lucy. Derek is in his second year of law school and I travel full time for an educational company. Writing this blog and sharing my photos with you all has been such a fun adventure and I appreciate you all so much for continuing to support me! Interested in more content from me? Keep in touch & subscribe below. Subscribe to keep up with our latest news!